You are here: Home / How to Start a Food Blog in Just 15 Minutes! 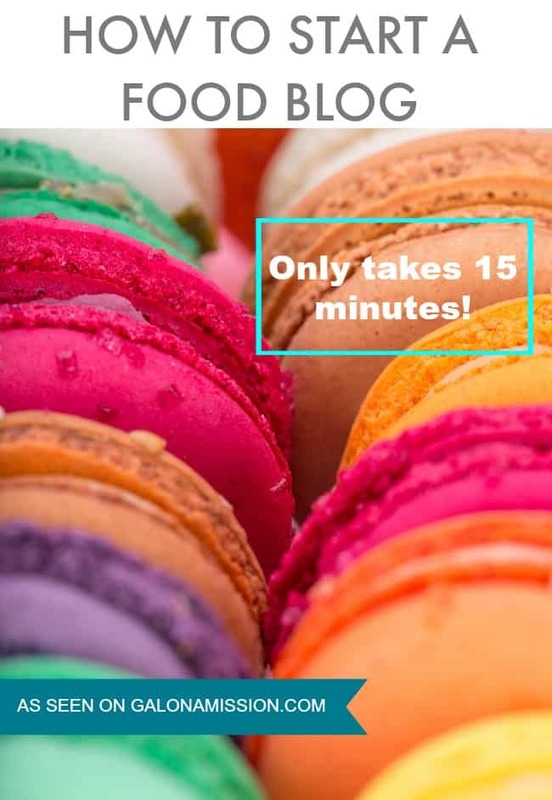 How to Start a Food Blog in Just 15 Minutes! So you love to cook, right? If the answer to that question is yes, then you should start a food blog! If people keep mentioning you should start a food blog, then follow your dreams. Today is now your day to start a food blog! All you need is 15 minutes to get everything in order and I will show you how! If your domain name is available, then you will be asked to pick a plan level. If you are just starting out, I would recommend the starter plan which you will pay in one payment. Paying it at once allows you to get the best bang for your buck. You will also need someplace to host your new domain at. 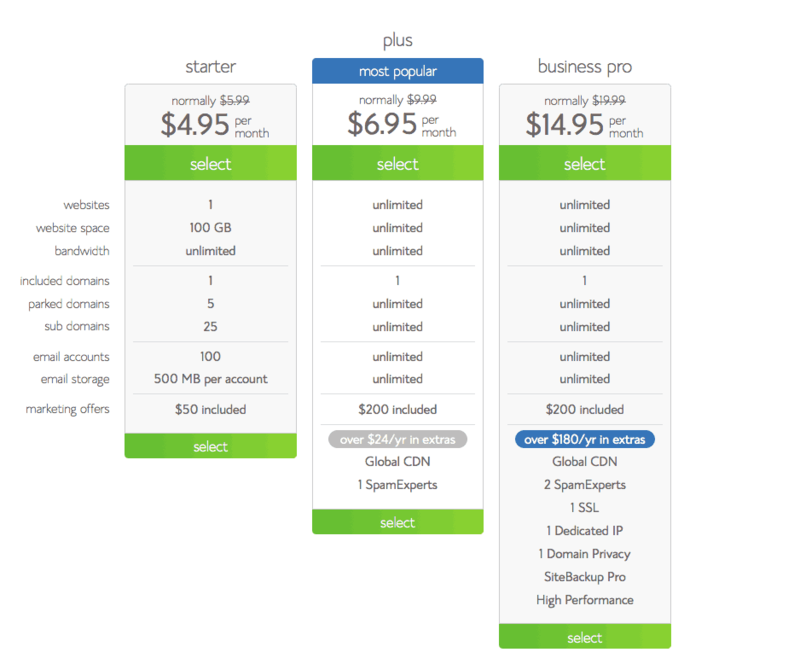 If you purchased any of the plans above, a domain name is free with the hosting package. Bluehost has the best rates available for hosting and for domain names! 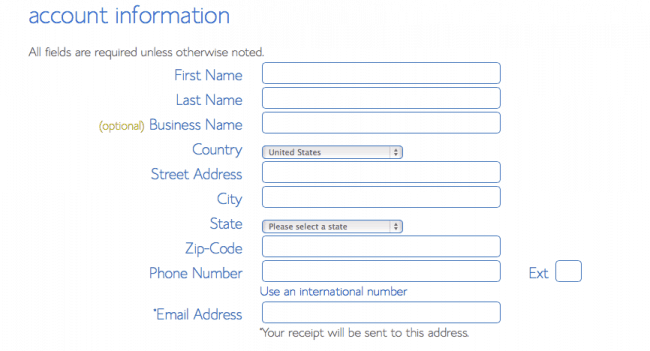 After you choose your plan, you will need to fill-out the required information pictured above. The domain security shields your personal address and phone number from being displayed to the public. I highly recommend it! Now that we have completed the registration with Bluehost, you will need to go another process of installing WordPress. WordPress is a blogging and website content management system. 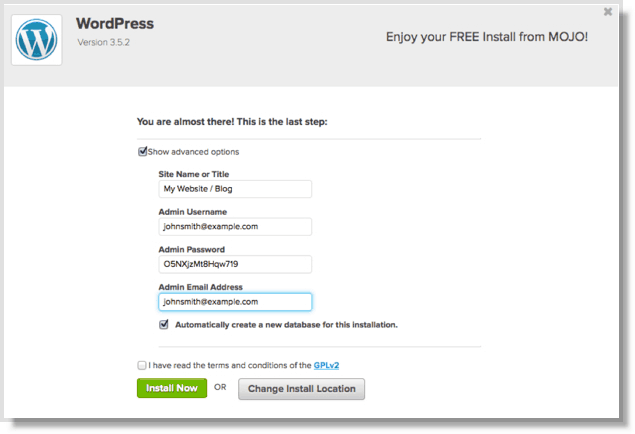 To install WordPress, you will need to be logged into Bluehost. You will see a Website Builder Section and you will then need to click on it. 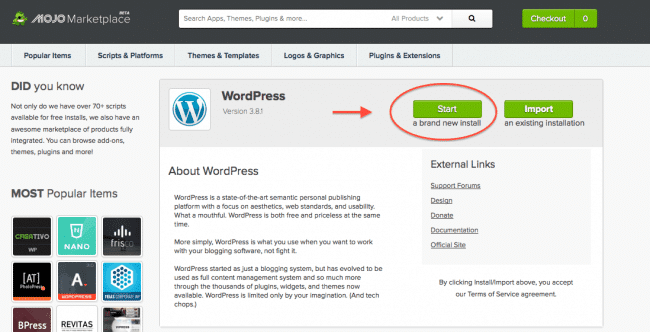 Once you click on the WordPress icon, you will need to click install on the next page. Now click on the the Check Domain button. You are almost there and give yourself a pat on the back! If you click on the box with Show advantage options, you can change your username and password. You will then need to click on and agree to the terms and conditions and then click on install. You will receive a message that says, “Your Install is Complete!” and you will want to click on the view credentials and where you log into. Type into your URL into your web browser. You will see a login screen and you will enter in your username and password.